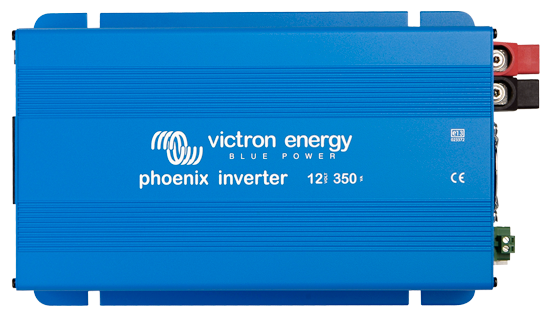 The Phoenix Inverter Compact is a pure sine wave inverter with a high efficiency. It is developed for professional duty and suitable for the wide range of applications. It has all the features of the MultiPlus, plus an external current transformer option to implement PowerControl and PowerAssist and to optimize self-consumption with external current sensing (max. 32A). Some may have known this product as the MultiGrid-II. 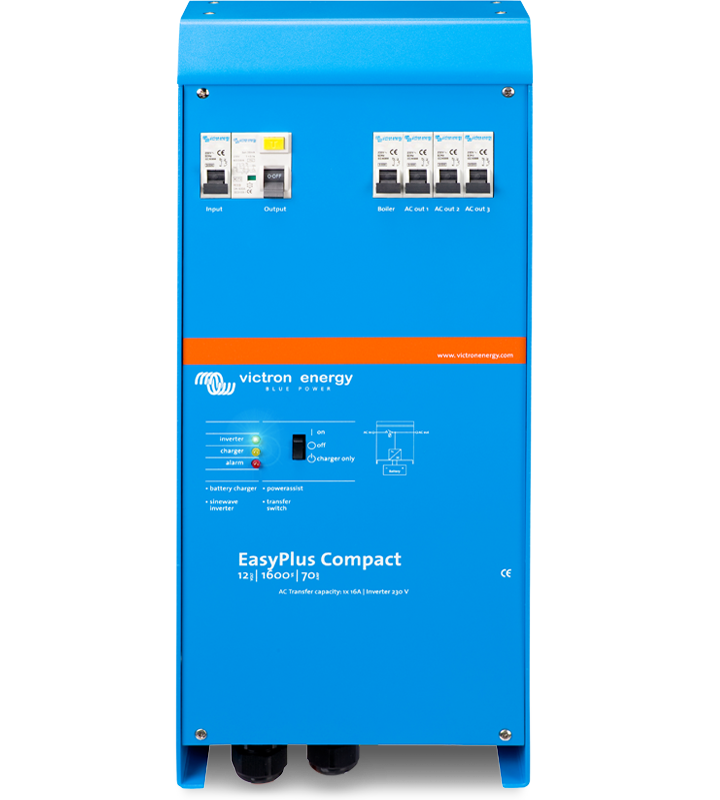 The EasyPlus is a multifunctional energy system consisting of a powerful sine wave inverter, a sophisticated battery charger, a high speed AC transfer switch and AC distribution in a single light weight and compact enclosure. The system has been designed for those who want to enjoy the comfort and freedom of a complete energy system without spending time on the installation of separate components and difficult technical procedures. Adaptive 4-stage charge characteristic: bulk - absorption - float - storage. Two full rated outputs and one 4 Amp output. Universal input 90-265V, 50/60Hz. The Phoenix charger features a microprocessor controlled adaptive battery management system that can be pre-set to suit different types of batteries. The adaptive feature will automatically optimise the charge process relative to the way the battery is being used. 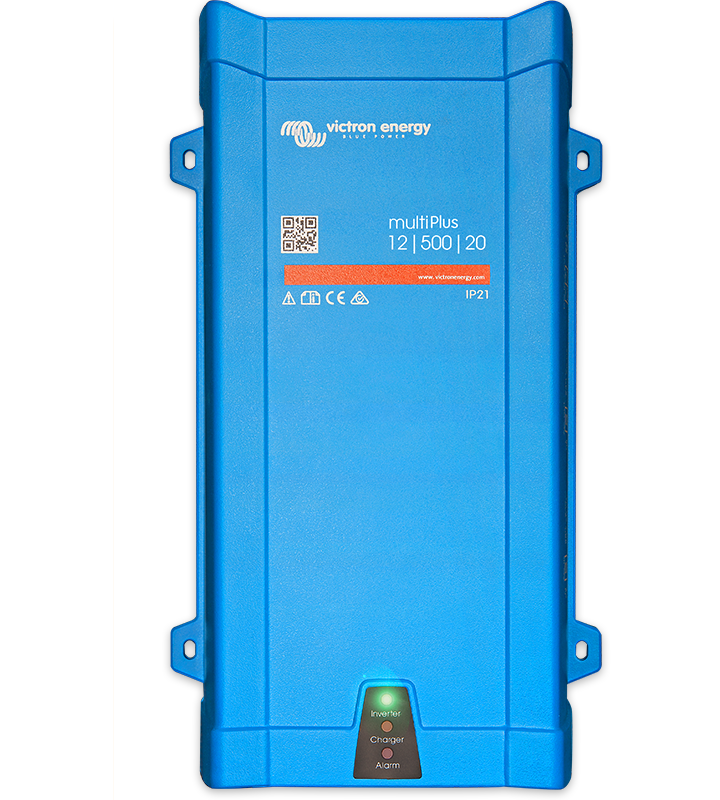 The Victron Skylla-TG 24/30 and 24/50 GMDSS Chargers have been designed to provide all required monitoring and alarm data. Both the battery and the GMDSS system are connected directly to the charger. Data and alarms are displayed on a digital panel (VE.Net GMDSS panel, to be ordered separately). A standard eight wire UTP cable connects the charger to the panel. The Centaur range of battery chargers features auto-ranging input covering 90-265VAC 50/60Hz input meaning they can be used anywhere in the world. Crucially, and unlike many other products that state universal input, the Centaur range will maintain full output power within the entire specified range. 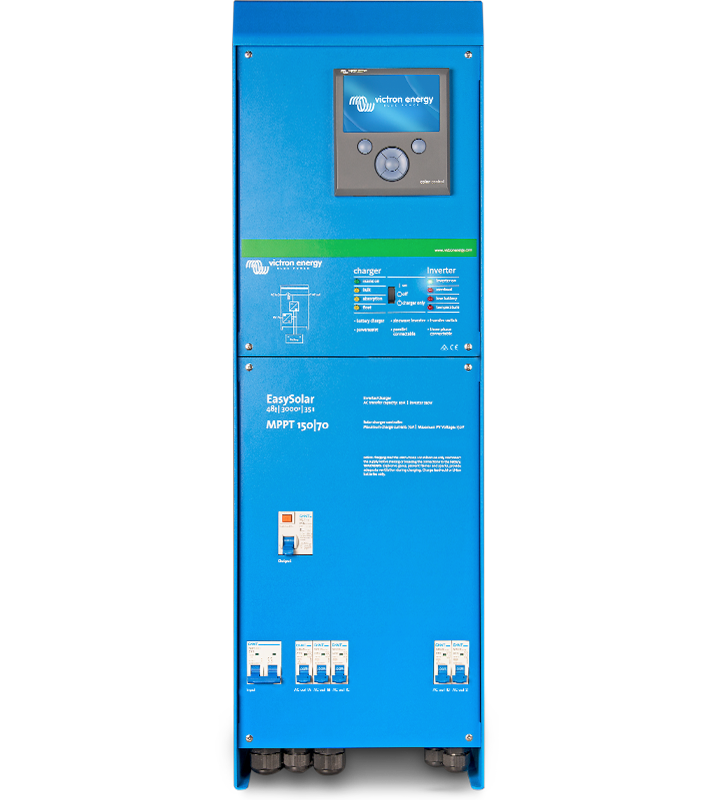 Other features include fully automatic three stage charge characteristic that ensures batteries are fully charged every time and three isolated charge outputs for multi battery configurations to suit the majority of typical installations. The range spans 12V and 24V models from 16A through to 100A. 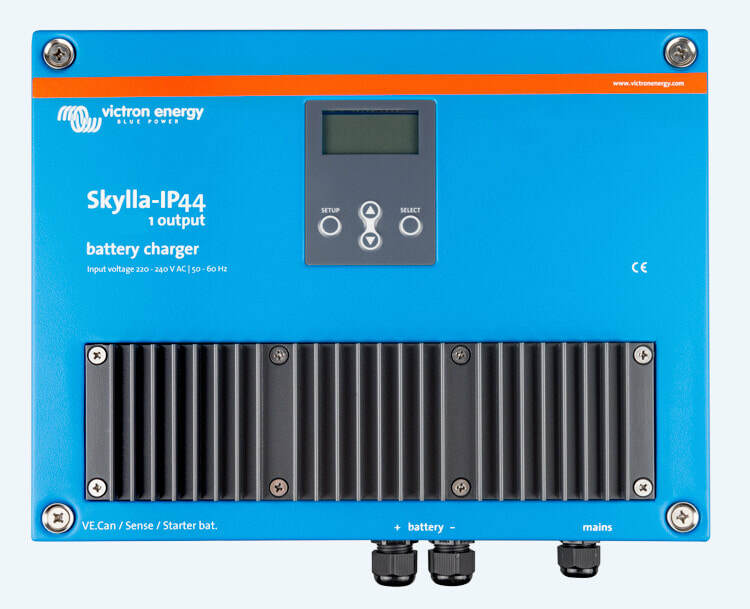 The Skylla-IP44 (1+1) features 2 isolated outputs. The second output, limited to approximately 3A and with a slightly lower output voltage, is intended to top up a starter battery. The Skylla-IP44 (3) features 3 isolated outputs. 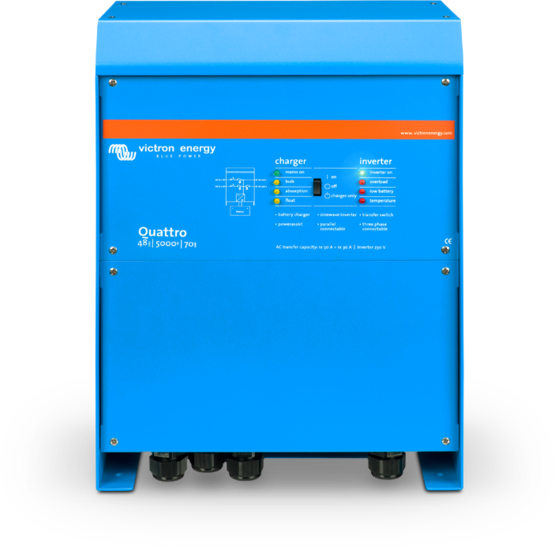 All outputs can supply the full rated output current. The Blue Smart IP67 (Or Waterproof) Charger is the new professional battery charger with built-in bluetooth. 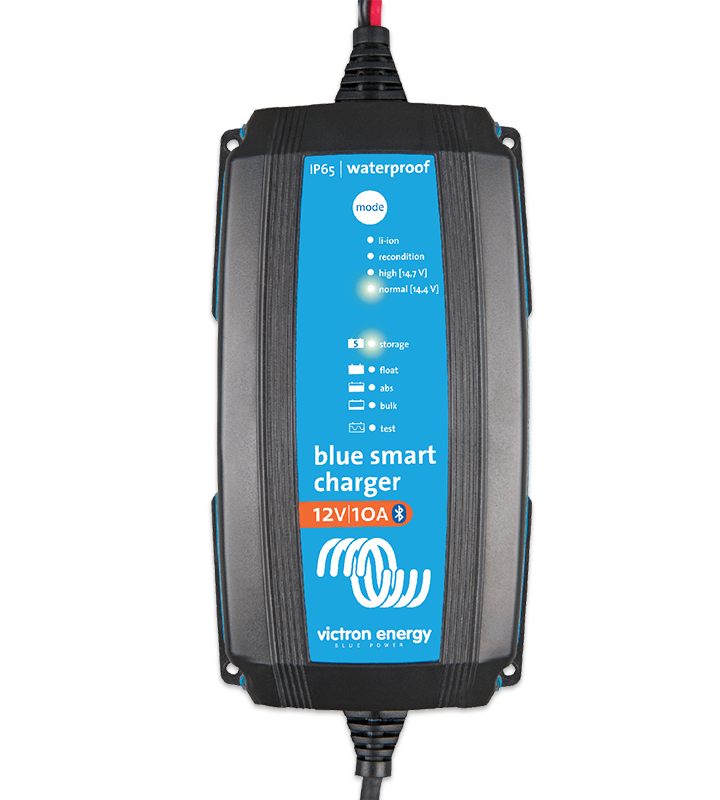 The Blue Smart IP67 Waterproof Charger can be used on devices in your workshop and on motor vehicles, such as (classic) cars; motorbikes; boats and camper-vans. 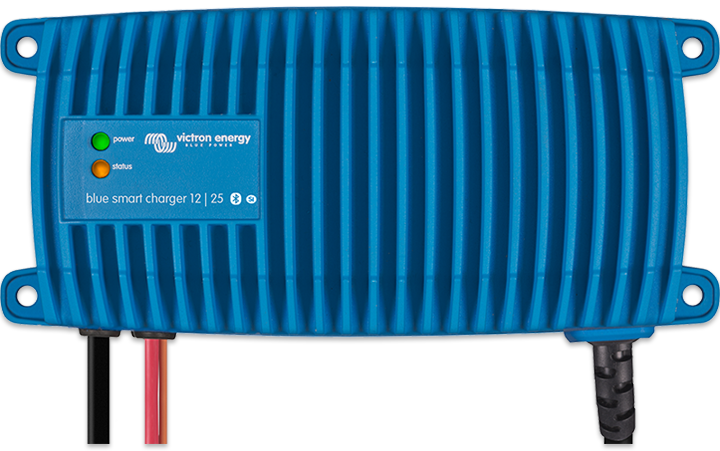 The Blue Power IP20 Charger is the new professional battery charger with built-in bluetooth. The Blue Power IP20 Charger can be used on devices in your workshop and on motor vehicles, such as (classic) cars; motorbikes; boats and camper-vans.